During their junior year, CAPS students may spend the fall semester in Washington, D.C., under a cooperative arrangement between the CAPS program and Cornell in Washington (CIW). The D.C. semester is optional for CAPS majors but highly recommended. In addition to a regular CIW seminar (CAPS 4998 and ALS 4200), the CAPS course for the major is CAPS 3000 Seminar on American Relations with China. It is coordinated by a faculty member, with individual sessions led by scholars, officials, business people, journalists, lobbyists, representatives of non-governmental organizations, and others who have worked in China or have participated in the shaping of U.S. policy toward China. Students who consider pursuing an honors thesis project in the senior year are encouraged to link their work in CAPS 4998 with their honors thesis proposals. CAPS students also enroll in a Chinese-language course taught specifically for them: CHIN 3341 or CHIN 4441 (equivalent to the regular Cornell courses CHIN 3301 and CHIN 4411, respectively); higher-level students may be taught as necessary. At the same time, like all students at Cornell in Washington, CAPS majors hold internships. Their internships are usually China-related positions working in government agencies, embassies, newspapers, television networks, businesses, law firms, think tanks, NGOs, and other organizations. During the spring semester, CIW offers a series of orientation sessions on the Ithaca campus. All CAPS majors who are going to D.C. in the fall are expected to attend all the sessions. The schedule for orientation sessions will be posted on the CIW website. To learn more about the semester in D.C., please consult the CIW website. 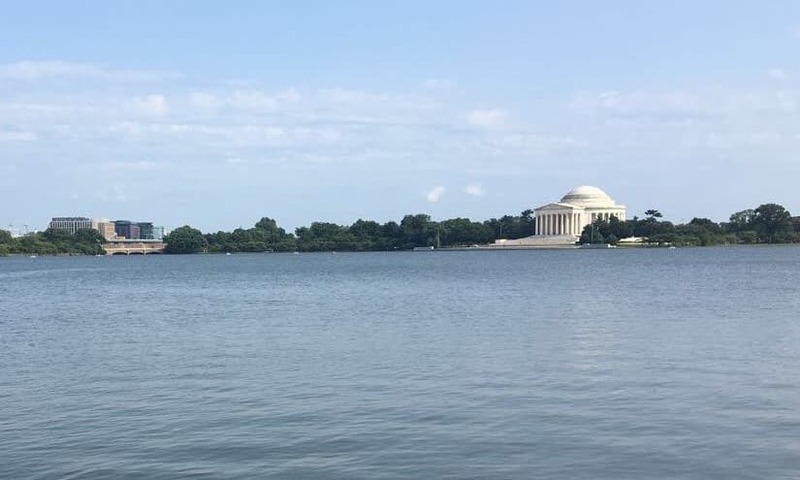 Pictured: The Jefferson Memorial across the Tidal Basin. Photo Credits to Kate Selley '20. CAPS students normally spend either their junior spring semester or senior fall semester in Beijing at Peking University's School of International Studies (SIS), one of China’s most prominent universities. They take three courses: 1) CAPS 4001 China in Transition, which is taught in English by a Cornell faculty; 2) CAPS 4002 Chinese Perspectives on International and Global Affairs, which is taught in English by a member of the faculty at the School of International Studies; and 3) a Chinese language course at a 3000 level or above (CHIN 3351 or CHIN 3352; CHIN 4451 or 4452; equivalent to regular Cornell courses CHIN 3301 and CHIN 3302, CHIN 4411 and 4412, respectively). A Chinese language course at a 3000 level may be available for CAPS minors and other participating students. CAPS Majors are strongly encouraged to take 4000-level Chinese course during the CAPS semester in Beijing. Students are also encouraged to take (for Cornell credit) or audit other available courses offered by Peking University (commonly known as "Beida") faculty at SIS. In Beijing, as in D.C., students hold internships with government agencies, businesses, the media, think tanks, or other organizations. Students are advised to find ways to coordinate their internship assignments between D.C. and Beijing. Students can opt to conduct summer internships in any Chinese city before the start of the fall semester; in that case, they will be exempted from doing internships in the fall or may continue their summer internships in the fall if they so choose. Qualifying applicants to the CAPS Honors Program have the option of taking their language course as an independent study, whereby their tutors may help them conduct Chinese-language research for their honors thesis during the semester in Beijing. Students are strongly encouraged to interact with Chinese students while studying at Beida. They will find a lot to explore and experience in Beijing and around the country. To learn more about the Beijing semester, please read the CAPS-Beida Orientation Handbook. To contact the CAPS-Beida Office, refer to Contacts. 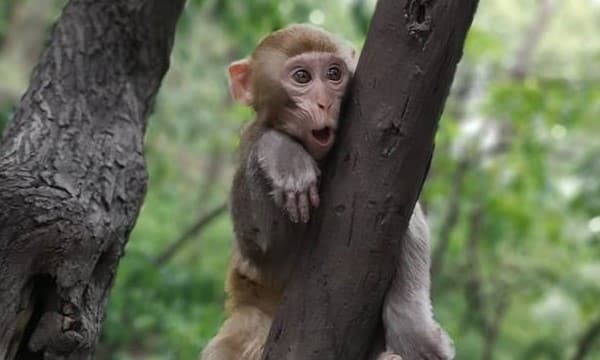 Pictured: A mischevious monkey taken by Professor Xu Xin on the Fall 2018 field trip to Guizhou, China.